I remember going through the internet, looking for something that would clearly explain to me the various stages of the cell cycle, and ultimately, I came upon the following table. I’m not exactly sure from where I obtained this table, thus, I’m not able to properly give credit to the person who has so flawlessly provided us with a thorough point-to-point explanation of the cell cycle. 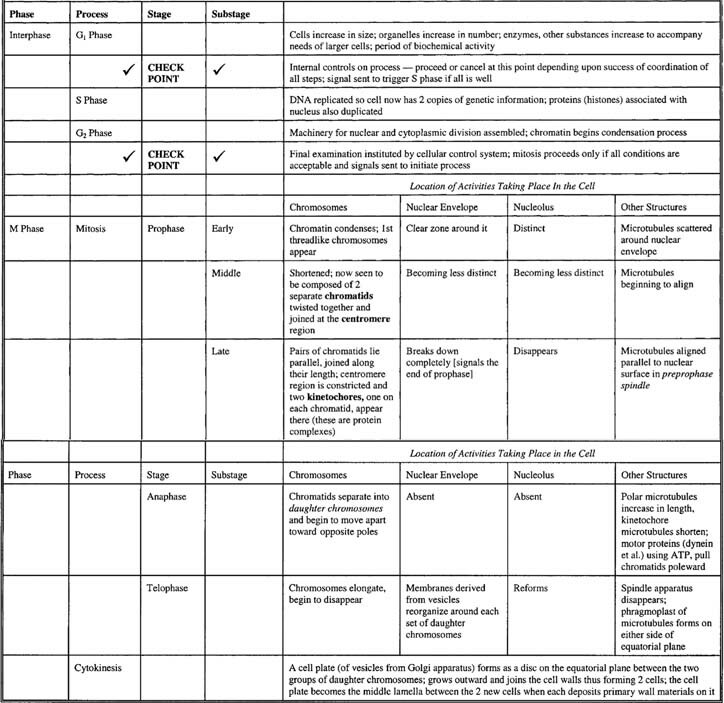 So, forgive me for the same, but I do hope that you will find the following table very useful in properly understanding the cell cycle. Also, let me know in case you figure out the source of this image so that I mage give proper credit. While writing your answer for the ICSE Board Exams, you may choose to present it in the form of a table (after consulting your respective school teacher), so that the examiner may come to know that you have thoroughly understood the concept. Correct me if I’m wrong, but I am under the impression that “M Phase” refers to metaphase.